China Disconnect: What’s Wrong with a Great Trade War? With the continuing hysteria about Donald Trump's presidency, a few questions come to mind. The first: Can a bad man become a good president? The second: Does one's being a good man guarantee he'll be a good president? Third: Does having a good president require a good man? Is there any evidence of Lord Acton's argument that "great men are almost always bad men"? I think former President Jimmy Carter was a good man who became a weak and bad president, both in domestic matters and in foreign affairs. President Bill Clinton was a bad man who became a reasonably good president in domestic and foreign matters. But then there was that impeachment issue that greatly tarnished his presidency. What about our current president? I think Trump's personal behavior prior to his presidency is not something we'd call high character. We might put him down as a bad man, but what about his presidency? I think that he'd qualify for this description: a bad man but good president. The average reader might ask, "Williams, what's your evidence?" 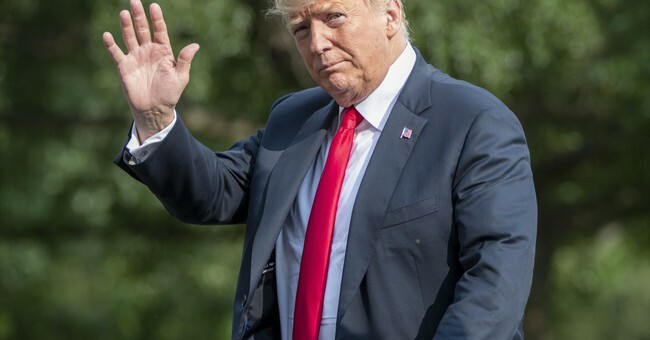 In a recent letter to me, Stephen Moore, a George Mason University graduate and a distinguished visiting fellow for the Project for Economic Growth at The Heritage Foundation, put together a list of President Trump's achievements. I recognize the possibility that they will be seen as horrible, maybe treasonous, by the nation's leftists. Trump has appointed Neil Gorsuch and nominated Brett Kavanaugh to the U.S. Supreme Court. Both men have stellar judicial qualifications and a deep respect for the U.S. Constitution. In addition, Trump has nominated more than two dozen lower court judges who have similar respect for our Constitution and are not likely to make laws from the bench. Trump has shepherded through Congress the largest personal and corporate tax cuts since the Reagan administration. His administration has created a 35 percent reduction in regulations. Those reductions, including the rollback of costly Environmental Protection Agency regulations, have led to the biggest energy boom in history, making the U.S. the world's No. 1 energy producer and thus ending our dependence on Middle Eastern oil producers. The Trump administration has ended the Obamacare mandate and reformed the very costly Dodd-Frank Wall Street Reform and Consumer Protection Act. Helping with these economic matters is free marketer Larry Kudlow, whom Trump appointed as director of the National Economic Council. As a result of the gross domestic product's growth spurt, caused by tax cuts and deregulation, unemployment is less than 4 percent. Black unemployment is hovering around the all-time low at 6.6 percent. In fact, it's estimated that there are 6 million more jobs than workers. Also on the domestic front, the Trump administration is trying to push through sweeping prison and sentencing reforms. President Trump has also made important gains in international affairs. He's gotten us out of the Paris climate accord. Aside from the fact that the agreement imposed costs and special disadvantages on the U.S., the Paris agreement should have been presented as a treaty to the U.S. Senate. Trump also got us out of the Joint Comprehensive Plan of Action -- the Iranian nuclear deal. Aside from Iran's violation of both the letter and the spirit of the agreement, it, too, should have been presented before the U.S. Senate for approval. President Barack Obama did not present either the Paris climate accord or the Iranian nuclear deal for Senate approval. He knew neither would have passed muster and instead used his executive powers. Also on the international front, Trump has gotten North Korean tyrant Kim Jong Un to the bargaining table to negotiate denuclearization of the Korean Peninsula. He's gotten our NATO allies to cough up more money for their own defense. Trump is rebuilding our military strength, which is beginning to put the fear of God into our adversaries. The bottom line is that President Donald Trump does not have the personal character that we would want our children to imitate but has turned out to be a good president, save his grossly misguided international trade policies.